When you suffer from acne, more often than not, it leaves behind acne scars. Scars are caused when the inner layer of the skin, dermis, is damaged. The severity and type of scarring depends on your age, genes, skin color and other types of skin conditions. Aloe vera gel for acne scars is a very good, natural and effective remedy. 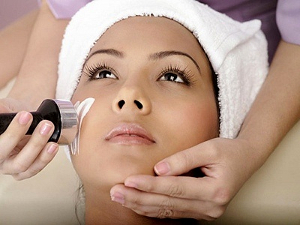 There are no topical treatments can make your acne scars disappear miraculously. However, there are measures that can significantly reduce the appearance of acne scars. Application of gels is among such measures and an effective gel to use on acne scars is aloe vera. It has plenty of natural chemicals that help in the repair and treatment of acne scars. There are many other home remedies that you can try. Check out our home page for a list of the good ones. Does Aloe Vera Gel Help Acne Scars? Can Aloe Vera Cause Acne Scar Reduction? Aloe vera is an anti-inflammatory substance that can reduce skin irritations and remove dead skin. It has anti-bacterial, astringent and coagulating properties. In addition to reducing swelling, it helps repair damaged skin cells and protect the healthier ones. It stimulates the growth of cells, which naturally reduces acne scars. It penetrates the skin deeply to moisture it as well as increase the amount of collagen your skin requires to promote healing. Aloe vera is available in a number for topical products such as gels, lotions and ointments. 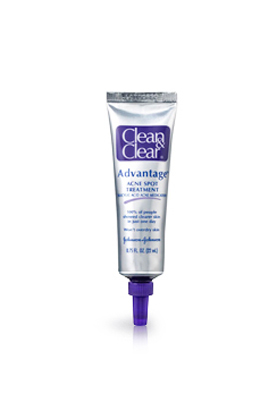 The most effective form of aloe vera for acne scars is a pure gel with no additives. You can also prepare a gel at home. In order to heal the acne scars, you should apply it directly onto the affected area three to four times a day or as prescribed by your physician. If you are preparing the gel at home, you should take an aloe vera leaf and wash it properly. Remove the two spiky sides and be careful not to prick your fingers. Slice the aloe vera in the middle, placing the knife between the two green skins. Before applying the gel, wash your face with warm water and dry it using a clean towel. Take the aloe vera leaf and apply gently to your skin. Alternatively, squeeze the gel from the leaf. Leave it on from as long as you want as after it dries out, your skin looks natural and the gel is not visible. Once you wash the gel off, you should apply oil free moisturizer. If there is one ingredient that i see often in face cream, it has to be aloe vera. It’s very common and that’s because of its ability to affect our skin in such a positive way. Did you know that aloe vera contains over 75 compounds? These awesome compounds are what give aloe vera the “healing power” to help your skin fight all kinds of diseases. Out of all the good compounds that it contains, I would like to bring your attention to a specific one, called saponin. This compound provide aloe vera its anti-bacterial, anti-fungal and anti-inflammatory properties. These are all the good thing you need when your body is fighting off acne. So does it help acne? The answer is yes, it does help your existing acne. It does not help stop new acne breakouts since aloe vera is only a topical application. A lot of academic studies have take place to determine if aloe vera helps, and most of them found out that when aloe vera is used in conjunction with a retinoid cream, it helps quite a bit with both acne and scars! What we have stated above is not all that this amazing natural gel can do, there’s a lot more it does for our skin. It also contains compounds that improve collagen formation, which is needed for repairing acne scars. Numerous studies have shown that there’s improved collagen formation when the body goes through wound healing. Now you can understand why aloe vera is found in many facial moisturizing creams. Now, we know that aloe vera is great, but it’s not that great for acne scars. I say that because it takes a while to kick-in. Sometimes, people just don’t want to wait that long. There are many other methods available such as acid peels, laser surfacing or creams that are quite effective. Check out the following video to learn more about how aloe vera can help acne scars. Side effects to the usage of aloe vera on your acne scars are rare. However, there is a small population of people who can be allergic. In case your skin reddens or becomes itchy, you should stop using it. It is recommended to consult your doctor before trying a new product. Aloe vera is suitable for all types of skin, even for people with sensitive skin. Aloe Vera gel for acne scars is an effective and safe remedy. Due to its antimicrobial properties, it kills bacteria to treat acne. Its anti-inflammatory properties help in reducing inflammation and lightening acne scars. It enables the skin to heal quickly and naturally and prevent scarring as well as treat it. Furthermore, it caters to other skin problems such as signs of aging, stretch marks and sunburn.